Become a part of our 3CDental Family! Explore rewarding dental careers at 3CDental and contribute actively towards providing better dental care. At 3CDental, there are bountiful opportunities for career advancement. We are looking for highly motivated individuals with an attitude to serve our patients, the best. The dentists are required to maintain an attitude of respect and helpfulness towards the patients. Enthusiastic, team player and friendly, are some of the traits we require of a dentist joining us. If you think you are truly passionate about serving the local communities and improving oral health, we welcome you with open arms and a big smile! Outstanding leaders ready to contribute to the 3C Dental team. Individuals interested in working alongside a team of highly-skilled professionals who love working in the field of dentistry. A team player who is friendly, compassionate, and reliable in the office. Someone that’s adventurous and willing to take up the challenge of a solo practice setting. At 3C Dental, we encourage you to work hard and reach your goals with plenty of advancement opportunities. Show us your determination and be rewarded with competitive raises and promotions that are worth your effort. 3CDental is growing steadily. Our future is optimistic and exciting which means more opportunities for talented dental professionals to build long lasting careers with us. Take advantage of our complete PPO plan for employees that insures you for all of your health and vision needs. We even offer transferable life insurance policies for employees to provide maximum security and coverage. Are you looking at continuing your education? 3C Dental offers reimbursement for every class you take to encourage advancement in your field. We even offer in-house CE education courses for select topics and procedures. Malpractice insurance reimbursement offered. Our team consists of a diverse group of dentists and staff members with exceptional knowledge and experience. Because of that, we find that mentorship among fellow staff members produces more confident dental providers. 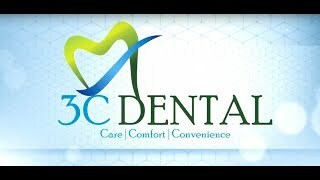 3CDental is a group owned and operated by dentists. This gives you complete freedom to treat patients based on your own professional judgments while giving you a means to ask for a second opinion from senior dentists. We implement a strict and thorough training regiment for both clinical and non-clinical staff members on our team. That way, our dentists are partnered with a team they can depend on and focus on providing quality care for their patients. We want our dentists to focus mainly on quality of care and customer service.